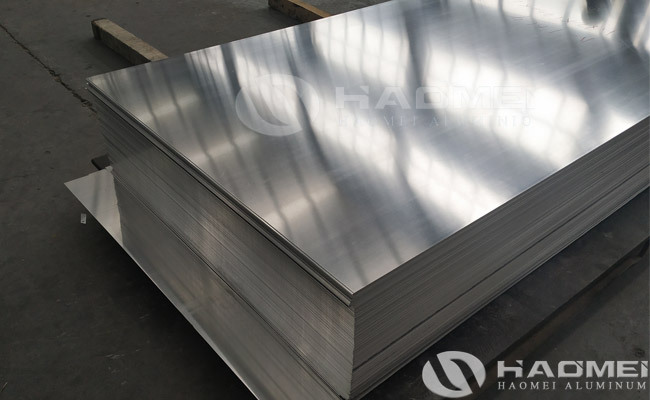 5052 aluminum sheet for enclosure is optimal for sheet metal work, and it is often used in electrical enclosures, general purpose enclosures, transportation vehicles, pressure vessels, etc. 5052 aluminium sheet is a common material for manufacturing cars, aircraft fuel tanks, oil pipes. Chemical composition: Si: 0.25; Cu: 0.10; Mg: 2.2 to 2.8; Zn: 0.10; Mn: 0.10; Cr: 0.15 to 0.35; Fe: 0.40. 1, It has good fatigue strength and plasticity. 2, It has good corrosion resistance and weldability. 3, It has medium hardness and cold workability. 4, It —-has a good anti-rust performance.